OxyContin is the brand name of the opioid narcotic oxycodone, a powerful prescription pain reliever that typically comes in tablet or capsule form that are either immediate or controlled-release formats. In 2013, almost 60 million oxycodone prescriptions were written in the United States, the Drug Enforcement Administration (DEA) reports. While this painkiller may be prescribed legitimately to minimize moderate to severe pain, it also can produce a burst of euphoria, or “high,” which makes it a popular drug of abuse as well. How Long Does OxyContin Detox Last? How Prevalent Is Prescription Painkiller Abuse? The 2014 National Survey on Drug Use and Health (NSDUH) reported that more than 4 million Americans (aged 12 and older) were classified as currently abusing prescription painkillers, which means that they misused them within 30 days of the survey being administered. Much of the OxyContin being abused likely stems from licit prescriptions, as over half of those who report abusing prescription drugs state that they got them for free from a family member or friend, per the 2013 NSDUH. Oxycodone is called hillbilly heroin, OC, oxy, kicker, and blues on the street. It is an extremely addictive substance, classified by the DEA as a Schedule II controlled substance, the highest regulated status for legal drugs. The drug may be swallowed in large amounts, chewed, or crushed to be snorted, smoked, or injected. The American Society of Addiction Medicine (ASAM) estimated that close to 2 million people in the United States (over age 11) were considered to have a substance use disorder involving prescription opioid drugs in 2014. Opioids like OxyContin not only block pain sensations; they also slow heart rate, respiration levels, blood pressure, and lower body temperature, creating a mellow effect and producing a sense of calm. By binding to opioid receptors in the brain and throughout the central nervous system, opioids also cause the brain to be flooded with pleasure-inducing neurotransmitters. This can be a very desirable effect. The National Institute on Drug Abuse (NIDA) reported that in 2012, more than 5 percent of the entire American adult population (those aged 12 and older) had used a prescription opioid painkiller for nonmedical purposes at least once in their lifetimes. 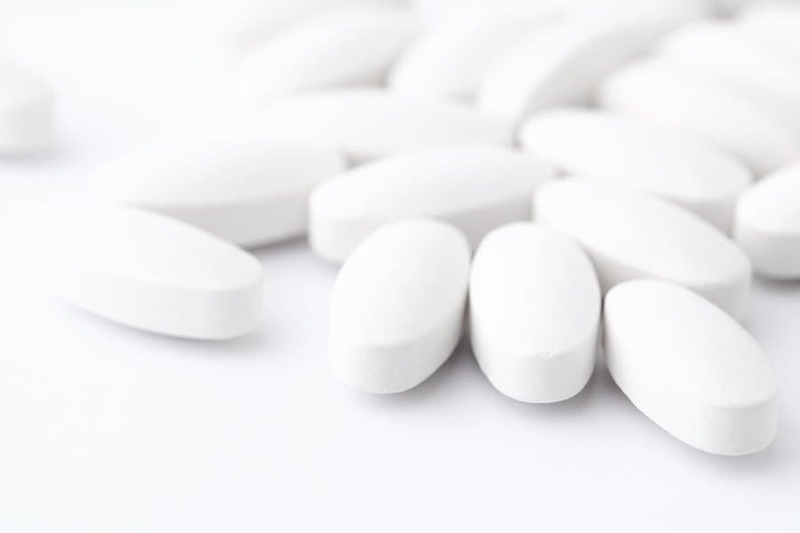 Opioid drugs such as OxyContin cause drug dependency fairly quickly and therefore have some significant side effects when their use is discontinued. Withdrawal and drug cravings are best managed through a specialized treatment plan that often begins with medical detox, which is designed to offer optimal safety and security. Treatment for opioid abuse, dependency, and addiction typically includes both medical and mental health therapies in a comprehensive care programPrescription drugs are still more widely abused than heroin. OxyContin and opioid drugs are some of the most commonly abused substances in the United States and around the world, as an estimated 26.4-36 million people globally abuse these drugs, NIDA publishes. The Substance Abuse and Mental Health Services Administration (SAMHSA) reports that the average age of someone misusing a prescription drug for the first time is 21.5 years old. The NSDUH of 2014 found that the majority of people abusing prescription painkillers were between the ages of 18 and 25, although abuse was present across all age demographics. About 3 percent of high school seniors reported that they abused OxyContin in the past year, according to the 2014 Monitoring the Future (MTF) Survey results, published by NIDA. In 2010, as many as 1 in every 20 high school seniors had abused OxyContin, making it one of the drugs teenagers abuse most. In 2010, the makers of OxyContin, Purdue Pharma, reformulated the drug to make it more difficult to crush and then snort or inject. The U.S. Food and Drug Administration (FDA) reported that this reformulation did make it more difficult, although not impossible, for the drug to be abused. This may have precipitated the substitution of an easier to abuse, and cheaper, opioid drug: heroin. Prescription drugs are still more widely abused than heroin; however, the demographic of injection drug users has changed over the past decade. The CDC reports that almost half of those who abuse heroin are also addicted to prescription pain relievers like OxyContin. Business Insiderpublishes that an individual who abuses a prescription opioid is 40 times more likely to try heroin. Any use of a prescription drug that is not deemed “medically necessary” is considered to be abuse. This means that individuals who invent or exaggerate symptoms of pain to receive a prescription, continue taking OxyContin after a prescription is no longer needed for pain, ask more than one doctor for a prescription (called doctor shopping), or take a medication that is not prescribed to them are abusing prescription drugs. OxyContin is a potent narcotic that even when taken exactly as prescribed can induce dependency, as the labeling for the medication and the FDAprescribing information warn. OxyContin makes people feel good, and regular use can build up a drug tolerance, meaning that users will need to take higher doses to keep from feeling pain and also to feel the drug’s pleasant effects. Increasing the dosage raises the odds of developing a physical dependence on OxyContin. This often comes with difficult withdrawal symptoms when the medication is suddenly stopped. Drug cravings and a desire to avoid withdrawal symptoms can lead to a desire to take OxyContin beyond its medical scope; thus, legitimate prescription drug use can quickly turn into misuse and abuse. A person can be dependent on OxyContin without being addicted to it, although someone suffering from drug dependence may still benefit from medical detox methodsto manage withdrawal symptoms and control cravings. Other opioid drugs that are longer-acting, or even partial agonist medications like buprenorphine, are often helpful in treating opioid dependence. These longer-acting medications are substituted for short-acting opioids like OxyContin during detox, allowing for lower, less frequent doses during the tapering schedule. Opioid withdrawal is both physical and psychological, and it is often best managed with the use of both medications and therapeutic tools. Addiction is a step past dependence. While dependence, drug cravings, and withdrawal symptoms are usually components of addiction, they are not the only indicators. Those who battle addiction to OxyContin cannot control their use of the drug and will likely have made multiple unsuccessful attempts to stop or cut down on its use. Mood swings and out-of-character behaviors are common indicators of addiction. Other things to watch for include a change in both sleeping and eating habits as well as potential fluctuations in weight or an overall decline in personal appearance. A personality shift may occur as individuals will likely become secretive, withdrawn, and uninterested in activities or people not related to their drug use, even activities they may have taken great pleasure or pride in previously. Work performance, attendance, and production may slide as may grades at school, and normal familial or other responsibilities may be regularly overlooked. Those battling addiction may continue to use OxyContin in hazardous situations or even when they know that using the drug will likely cause them emotional, social, economic, or physical problems as a result. They may be more likely to engage in sexual encounters, or other risky behaviors, that can be potentially hazardous. Addiction is a disease that affects a person’s reward, decision-making, and pleasure pathways in the brain. It also impacts relationships, emotions, behaviors, physical health, and finances, and it can lead to mental health concerns. There are many forms of opioid addiction treatment that can address all of the potential concerns of prescription drug abuse and dependency, and promote recovery and long-term health. It is important to get help for OxyContin misuse as the consequences for not doing so can be dire. The CDC reports that in the United States 44 people die daily from a prescription pain reliever overdose, and another 7,000 are seen in emergency departments (ED) each day as a direct consequence of prescription painkiller abuse. Oxycodone is one of the top drugs found in prescription drug overdose fatalities, the CDC publishes. The Drug Abuse Warning Network (DAWN) reported that in 2011, oxycodone products were the number one type of prescription opioid painkillers involved in ED visits related to prescription drug misuse, with more than 150,000 people seeking emergency treatment for an adverse reaction that year. Opioid drugs lower some of the functions of the central nervous system, including heart rate, blood pressure, and respiration levels. When these drugs overwhelm the system, a person may have trouble breathing, have a weak pulse, have low blood pressure, be cold to the touch, appear confused, vomit, be extremely drowsy or have trouble staying conscious, or fall into a coma. Generally speaking, a fatal opioid overdose is usually caused by respiration levels dropping too low, leading to cessation of breathing. Overdoses on OxyContin are complicated by the addition of other substances, especially other central nervous system depressants like alcohol or benzodiazepines (prescription sleep aids or anxiety medications). The CDC reports that many who overdose on prescription painkillers also have benzodiazepine drugs in their system at the time of death. Opioid overdose is considered an epidemic in the United States. 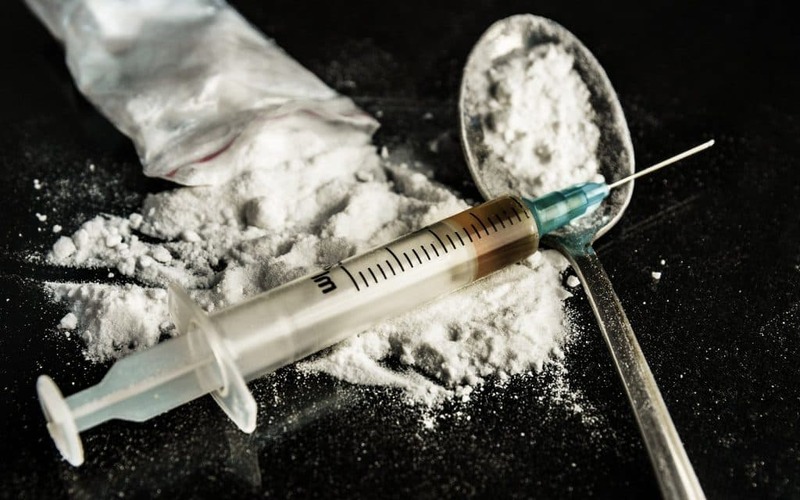 While drug abuse is often viewed as an issue that primarily affects young people, the 45-54 age group has the highest opioid overdose fatality rate. In 2012, the prescription opioid overdose rate for individuals ages 55-64 was seven times higher than the rate almost 20 years prior, AARP reports, illustrating that opioid abuse is a growing problem in this age group. Older adults may be at a high risk for opioid overdose due to the range of medications they may be taking that can interact negatively with each other. Underlying medical conditions may be a factor as well, as may the inadvertent taking of too much medication at once or the potentially slower metabolism that comes with aging. Opioid overdose is cause for concern in all ages as the death rate continues to rise. The CDC reports that deaths from synthetic opioid prescription drugs like oxycodone and hydrocodone rose 9 percent in 2014 from 2013. Opioid overdoses are often reversible with the administration of an opioid antagonist like naloxone (Narcan). Many first responders now carry this drug. If an overdose is suspected, seek immediate medical attention.